How was your weekend? I had quite a lazy and pampering weekend where I hogged alot and skipped my workouts. From today I will *try* to stick to my diet (that is saying no to junk food and drinking lotsa green tea) and working out regularly. Anyway moving on to the topic at hand – If you know me, then you know I’m an eyeliner girl. I love my liquid liners more than anything and I’m terrible when it comes to gel eyeliner. I know its usually the other way round but I haven’t managed the art of applying thin and precise lines with a gel eyeliner. The cream formula creates smooth lines that are defined and precise. Smudge-proof, budge-proof and water-resistant coverage for all day wear to combat against sweat, tears or rain! Achieve thin or bold lines with ease. Slanted Eyeliner Brush included. 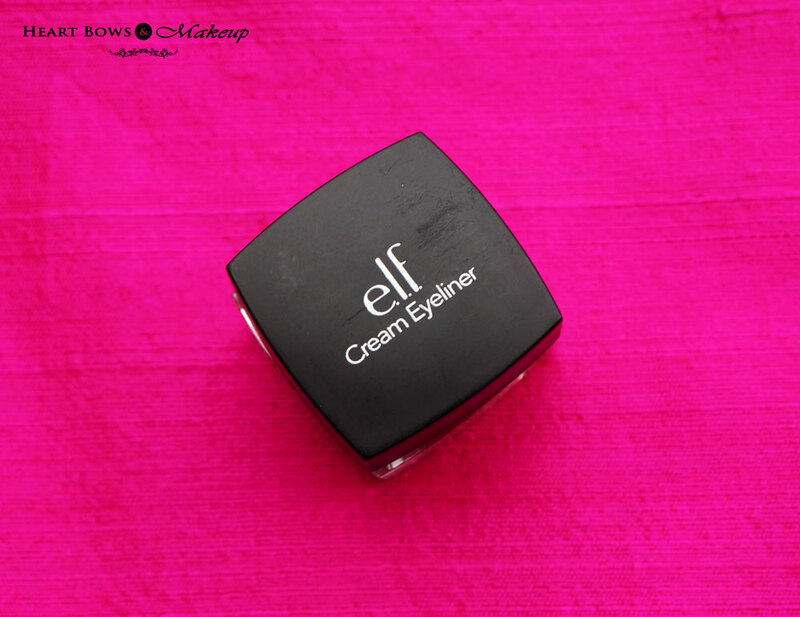 elf Cream Eyeliner comes in a plastic square tub with a black screw on cap. It also comes with a small angled brush which is very convenient for usage and actually makes the process of lining your eyes very easy! Since the plastic tub is see through, it is quite easy to identify a color in case you own more than one. The packaging is pretty and very travel friendly! 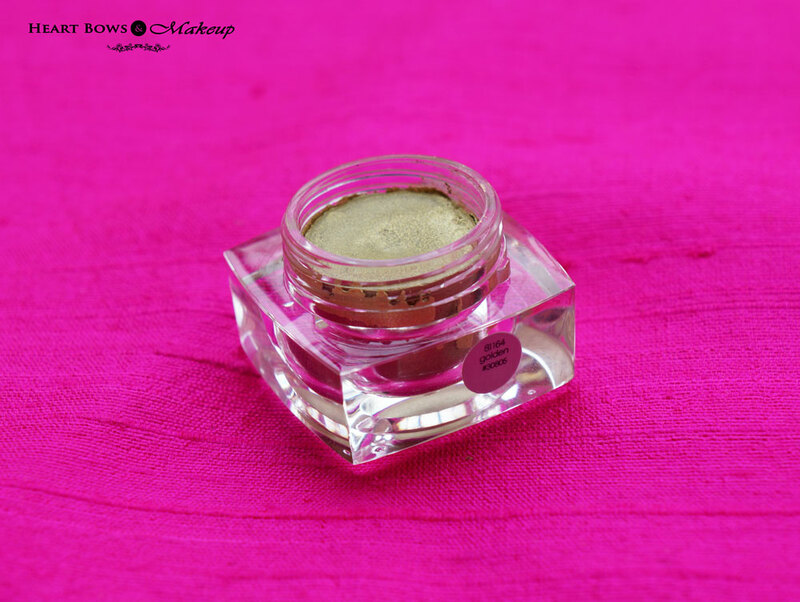 The elf Cream Eyeliner in Golden is a very pretty yellow toned gold with a metallic finish. It has a slight tinge of green as you can see in the pan but that does not translate onto the eyes. 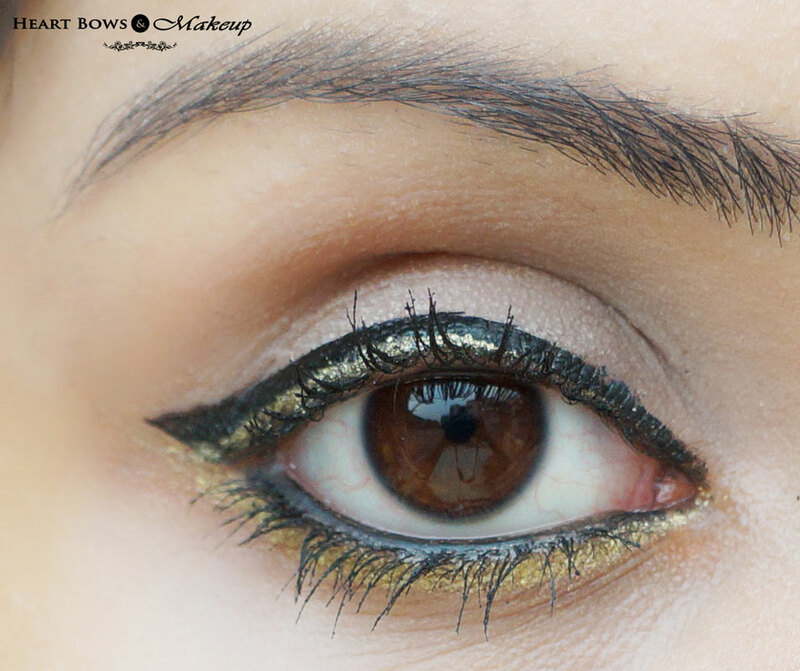 Its very rare to come across such a warm gold eyeliner and it would flatter all complexions equally! 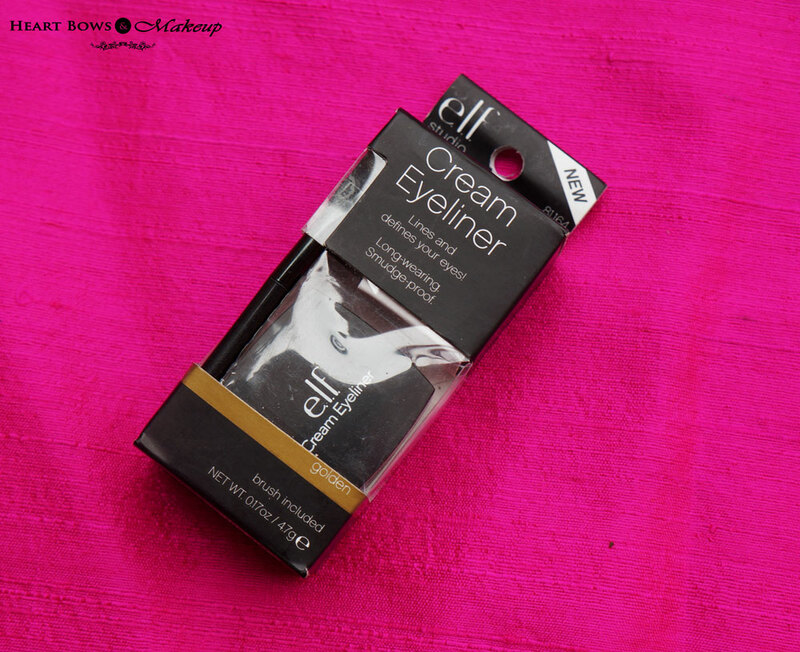 The elf cream eyeliners have a very soft and creamy consistency. They apply very smoothly onto the eyes and set easily. The golden shade does not give an even finish in the first swipe unlike Plum Purple so you might need to go over it a bit a couple of times. 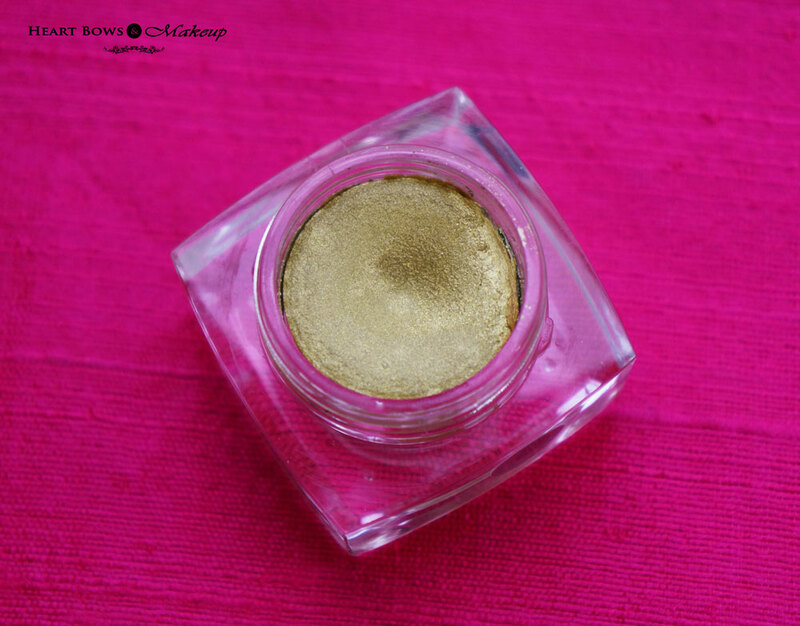 elf Cream Liner ‘Golden’ is well pigmented and shows up beautifully in 1-2 swipes. Its rare to come across a gold liner which shows up well as most of them look too dull or aren’t nicely pigmented. 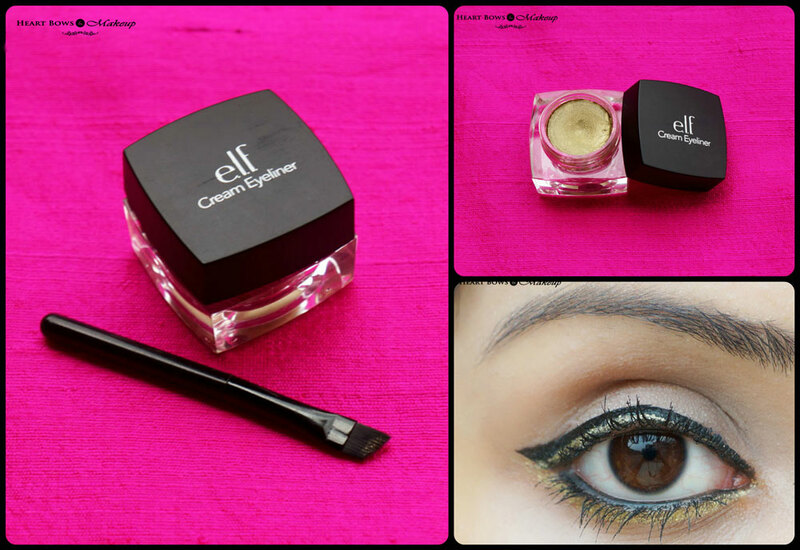 This one defines my eyes very well and looks amazing when paired with a black eyeliner! 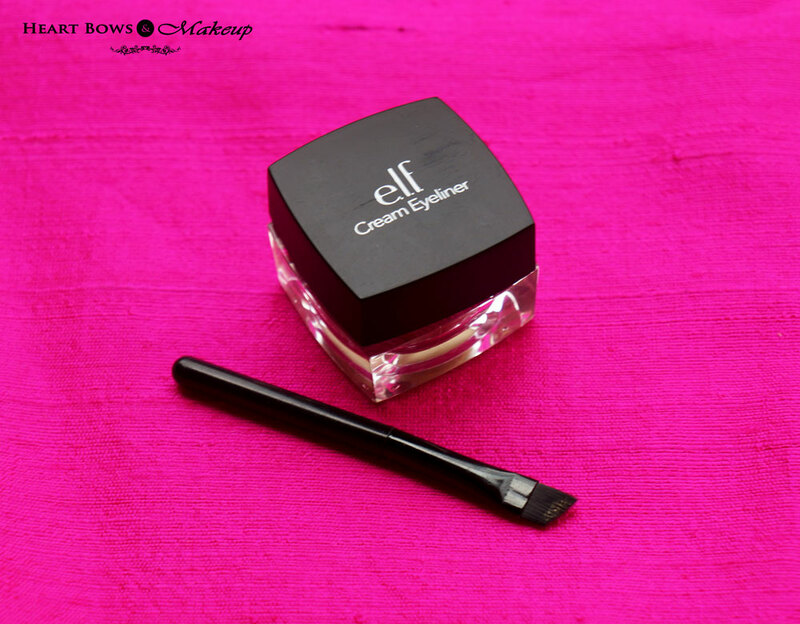 elf claims its cream eyeliners to be long lasting and smudge proof and it definitely delivers on this aspect. Once set, the golden eyeliner does not smudge even when I accidentally rub my eyes and is definitely water resistant. I have read a few reviews where people weren’t happy with the staying power but on my normal lids, it performs quite well. At 3 dollars, the eyeliner is worth every buck and more and they usually offer some amazing offers on it like 50%off making it an even better deal. 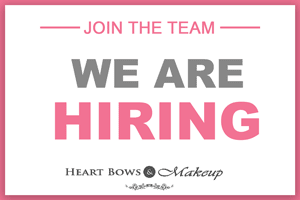 Its an absolute must try and those just starting to build their makeup collection should definitely hoard them. The biggest issue is the availability in India and I just really hope some website starts stocking them soon. 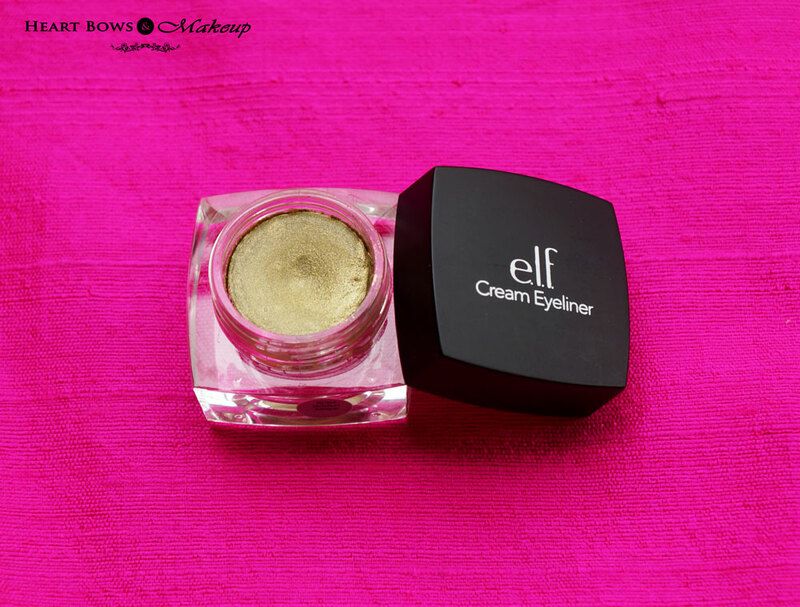 HBM Recommendation: elf Cream Eyeliner in Golden is a beautiful and flattering gold liner which is creamy in texture and applies easily onto the lids. 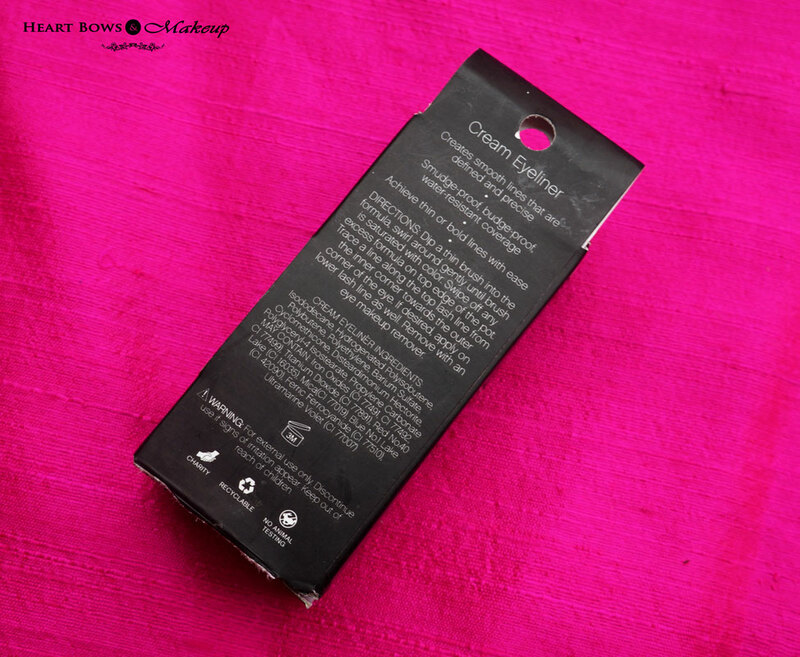 The liner is well pigmented, lasts for a good amount of time and is smudge proof. At $3 its an absolutely amazing deal for which I’m ready to ignore the uneven finish that I get in one swipe. If you have access to elf products then I’d say go go grab a few as you surely won’t be disappointed.